A menu link to a webshop page where you could purchase Draken 5.0 has been present for some time for logged in users. This was only a test page that was supposed to be hidden for ordinary users, but was inadvertently made visible by a badly configured plugin. 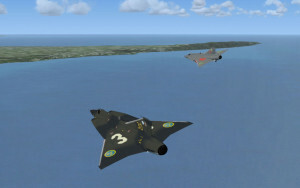 There is no payware version of Draken and version 5.0 has not been released yet. Sorry for any confusion. The contact form on this web site has for some time been directed to a disused email address, which means that no messages sent through the contact form for (at least) the last 12 months have reached me. I am truly sorry for this error which may have given you the impression that I am not listening, or that the project has been abandoned. If you have any questions regarding this project or just wish to get in touch with me, please use the (now working) contact form. 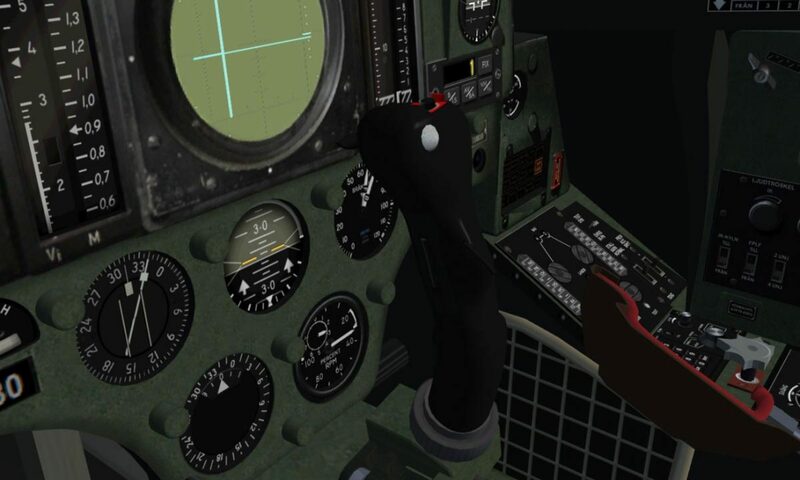 After 3 years of inactivity and 18 months of silence, the Draken project is finally being revived with a new version for Prepar3D v4, to be released in 2018. Since I do not have the time to maintain this website actively anymore it will be scaled down successively, beginning with the closing of the support forum today. There has been very little activity in the forum for the last 12 months and I seriously doubt that it will increase in the future. I have not been working actively on Draken for almost two years now, and do not even use Flight Simulator anymore, so I can offer very little help with it these days anyway. For those of you who are still using Draken, I wish you all the best and hope that you are happy with it. Thank you for 15 years of love and support. The website went offline for a day or so after a system update crashed a plugin, but now we are online again. I doubt that anyone even noticed the glitch. Not much activity here at the moment, but at least the website is still up. I have no idea what will happen in the future with the Draken project, though. I will continue to support my addons for as long as people are interested in using them, but I have no plans for any further development. 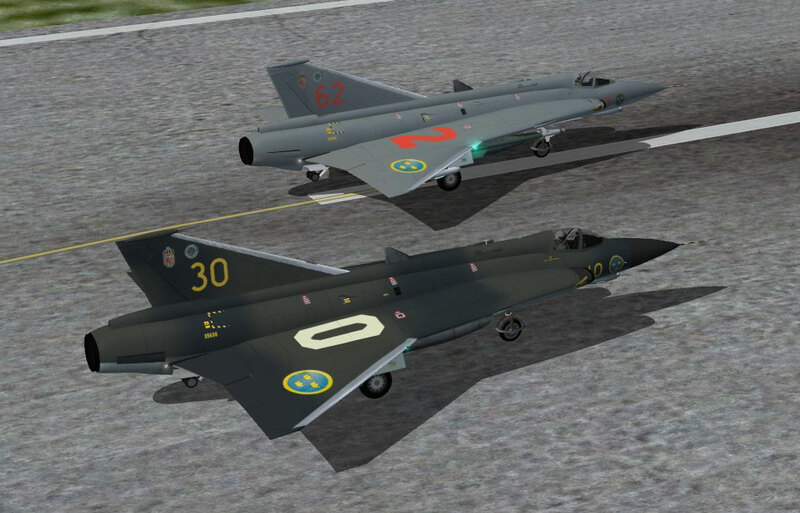 On request from many users I have put together a stripped-down AI (non-flyable) version of Draken for FSX. It contains five LODs with about 30k polys in the highest LOD (compared to 75k in the full model) and – of course – no interior model. You can find it on the Download page (registered users only). The AI version links to the sound folder in Draken 4.1, so you need to install the full model first if you want the original sounds. For those of you who haven’t already noticed, Draken has now been updated to version 4.1.2. This final update to 4.1 only comprises a bugfix to the PN-59 navigation system. If you have installed version 4.1.1 and don’t feel like downloading and installing the whole 17 MB kaboodle again, there is also a patch which will update 4.1.1 to 4.1.2. This is most likely the last installment in the 4.1 series. I actually have no idea if this project has a future. There may be a 5.0 version some day. We’ll see. My heartfelt thanks to all of you for close to fifteen years of never failing moral support, understanding, and love. This is a maintenance release which fixes all the (known) problems with the autopilot and navigation system. It is a complete installation, not a patch. It also introduces a change to the course indicator, which no longer points to navaids or waypoints. That functionality was really a remnant of the very earliest version of the panel, and not realistic at all. The heading/course indicator is now just a basic HSI without VOR indication. Please note that this is not a separate version, the installer will overwrite the 4.1 files in the same folder and will show as 4.1 in the FSX aircraft selection dialog. The promised maintenance release (4.1.1) is slightly delayed due to the fact that I have a new job, which is great, but which also means less time for Draken. I have precious little time to spend on this as it is, as you well know. The update will be released before Christmas though, that’s a promise I will keep. It contains a few minor fixes and a major one, the PN-59 update. So the 4.x series will be concluded before the end of the year, and then… we will see. The autopilot is still not working properly – the bank/turn control especially – but a solution is in the works. There will be a maintenance release (4.1.1) at the end of this week which will take care of this as well as some other minor problems. If you have other issues with 4.1 please post in the forum and I will do my best to get them fixed for the next release.